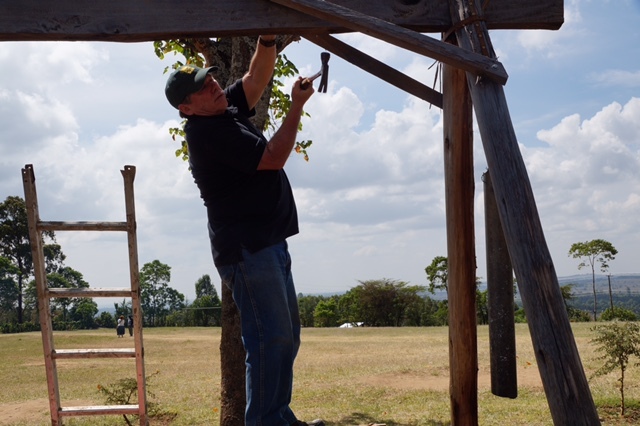 My son Kevin and I were blessed to be part of the mission team from First Presbyterian Church in Stillwater that traveled to Kenya in January to spend time at Daylight. This was a return trip for Kevin — excited to see the kids again and to show his mom this wonderful place on other side of the planet. 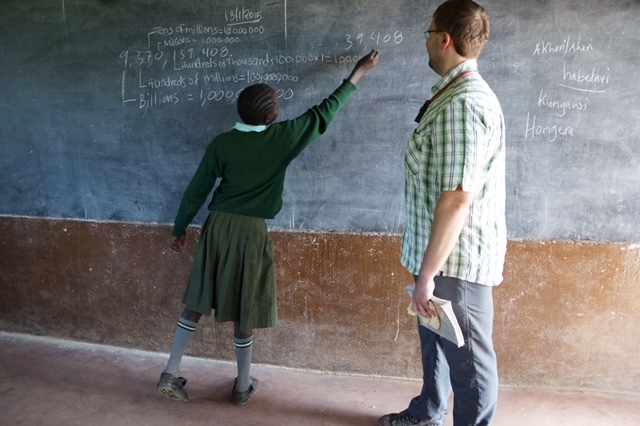 During our visit Kevin spent time in the classroom helping students with math and science questions. A few of us spent time with students in another classroom answering their questions, telling them about Minnesota and laughing about how we can “walk on water” this time of year. 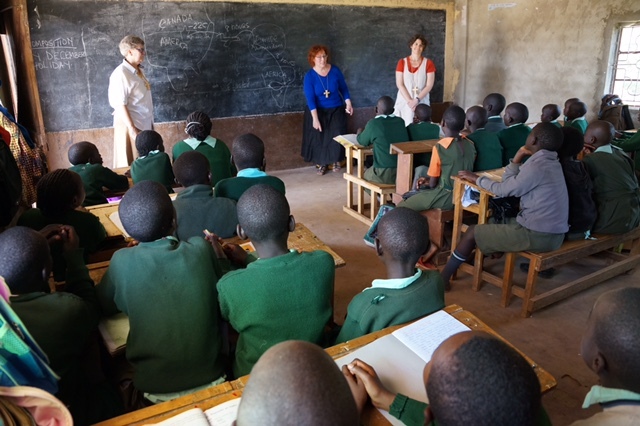 Later on we were able to help Dr. Lenny Snellman and Susan Garofano and the kids with their clinic visits. I also spent a bit of time with Terry in the school office installing a new copier/printer. Most exciting for the kids perhaps was watching Kevin, Gary and Tom install new hardware on the much-loved swings. What a happy ending to a wonderful visit! 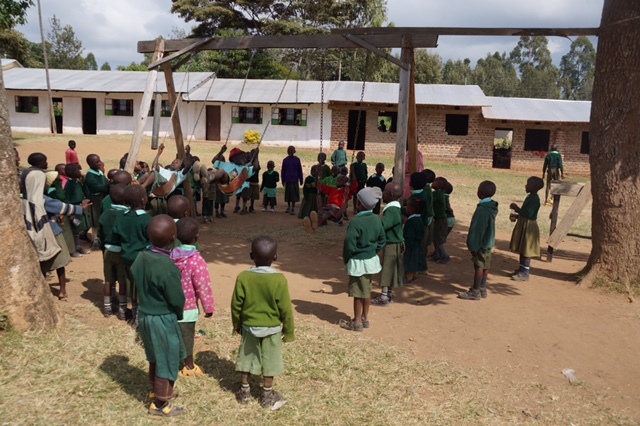 Praise God for the beautiful children and loving work of the teachers, staff, and friends of Daylight! A visit to Daylight is a spiritual reminder of the world we share and our calling as Christians to love and serve our sisters and brothers. 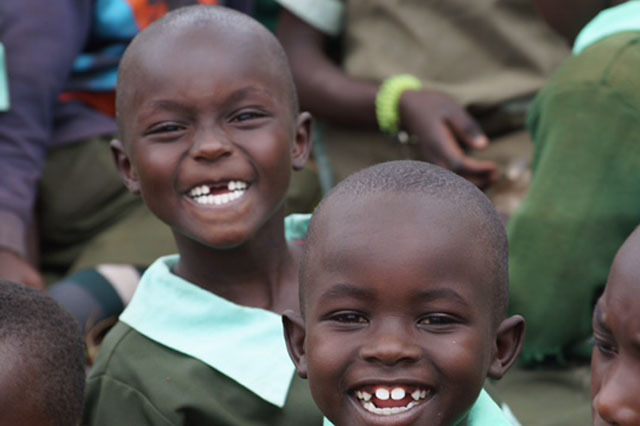 There is much more we can do for the children. Our prayers and ongoing support are needed for the things we take for granted. I’ll remember them and remember their smiles. I hope many more will have an opportunity to experience their joy. This entry was posted in 1-Minute Update by Nathan Roberts. Bookmark the permalink.